Exotica for your wrist. 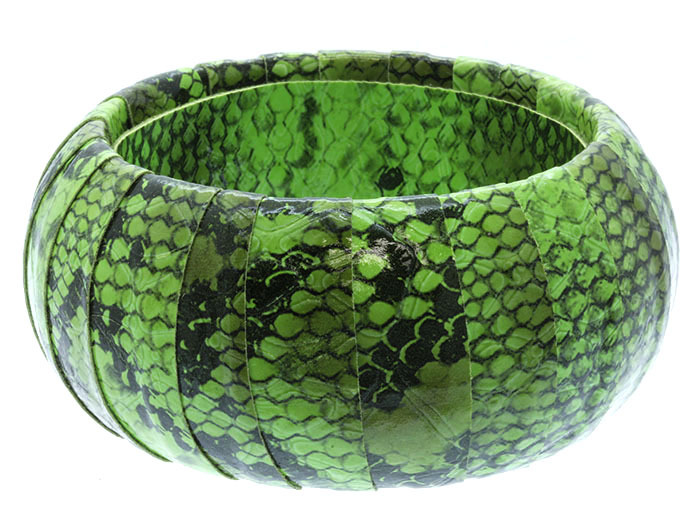 The Holly Bangle Bracelet features a green snakeskin print. Team it with gold bangles for maximum effect. Shop from one of Australia’s finest online fashion jewellery stores right here, right now!